A busy seafaring town in the region known as the Mariña Lucense. Its history is closely linked to San Martiño of Mondoñedo, the former bishop’s seat of the diocese, the “Holy Bishop” and Marshal Pardo de Cela, historical figures who have become shrouded in legends and myths. 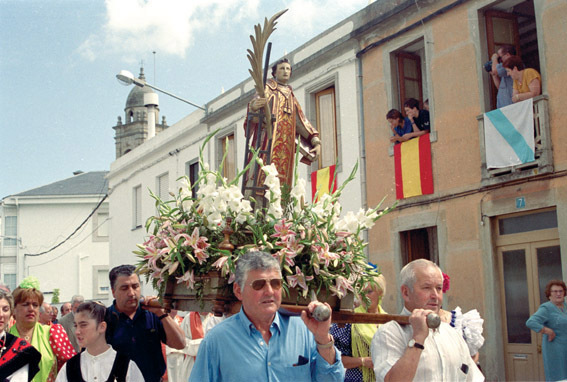 The area is famed for its many popular “romerías”, although the principal festivities take place on 10 August when the town commemorates its Patron Saint San Lourenzo. The days are filled with numerous attractions and folk groups and top bands perform their music in the streets. In keeping with the traditions associated with fire in Galicia, a water fireworks display is the major attraction when night falls.